Hello and welcome to the 3rd challenge for SIP! 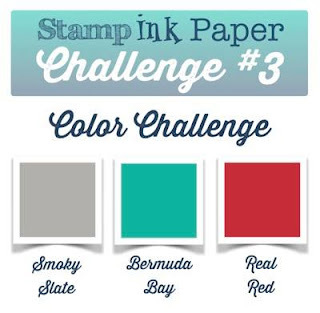 Today's challenge is a color challenge! Just make a card using Real Red, Bermuda Bay, and Smoky Slate and link it up! I LOVED these colors together. My first thought was nautical so I pulled out my Sea Street set and went to work on a shaker card! Super cute! 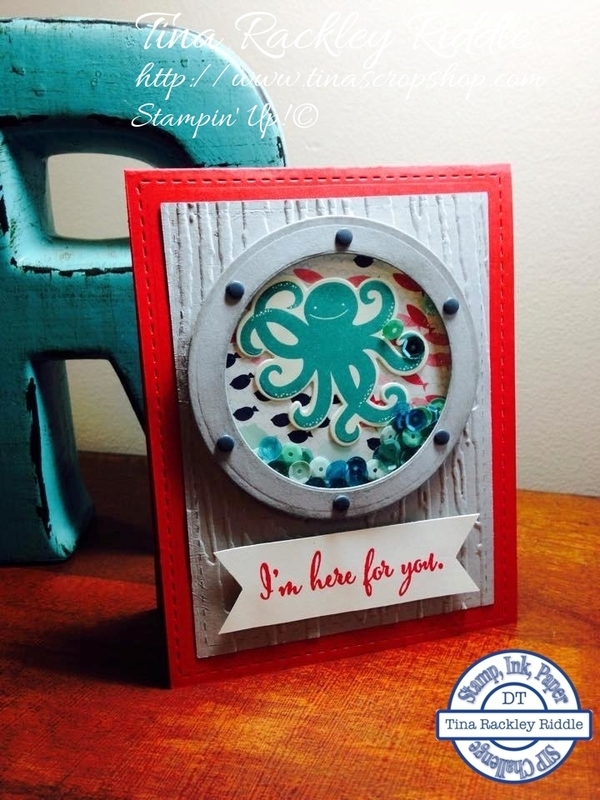 Did you see the nautical DSP on clearance today? I ordered three packs... I'm a paper hoarder too. what a fun card!! awesome stuff as always ms. Tina! Tina you already know how much I love this awesome shaker card! So much fun! Love the porthole frame, too.